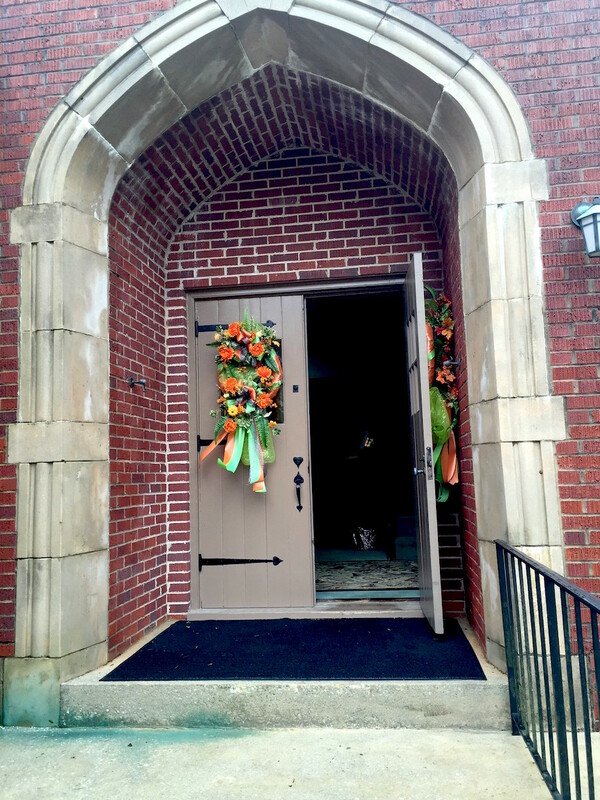 The congregation of Chadbourn Presbyterian Church anticipates each year the first Sunday of October, the traditional date of celebrating its Fall Gathering (Homecoming). Former members of the church, family members of church members and many from the Chadbourn community gather that day for worship that includes the observance of World Communion Sunday and a delicious lunch, both of which are highlighted by the warm and family fellowship. 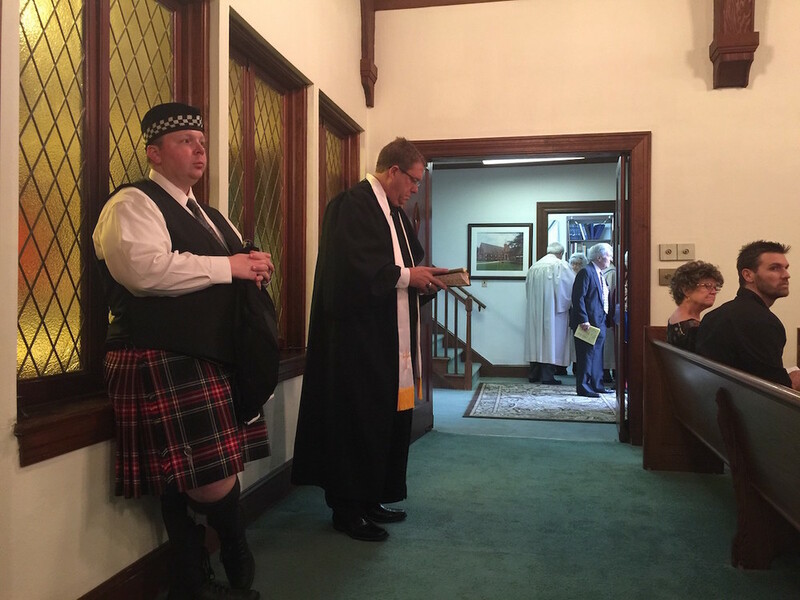 Each year a bagpiper is invited to play and lead the processional and recessional as well as play the offertory selection during the service. Traditionally, a former pastor or other minister with connections to the church is invited to preach the sermon that day. In a break with tradition, current pastor, Rev. 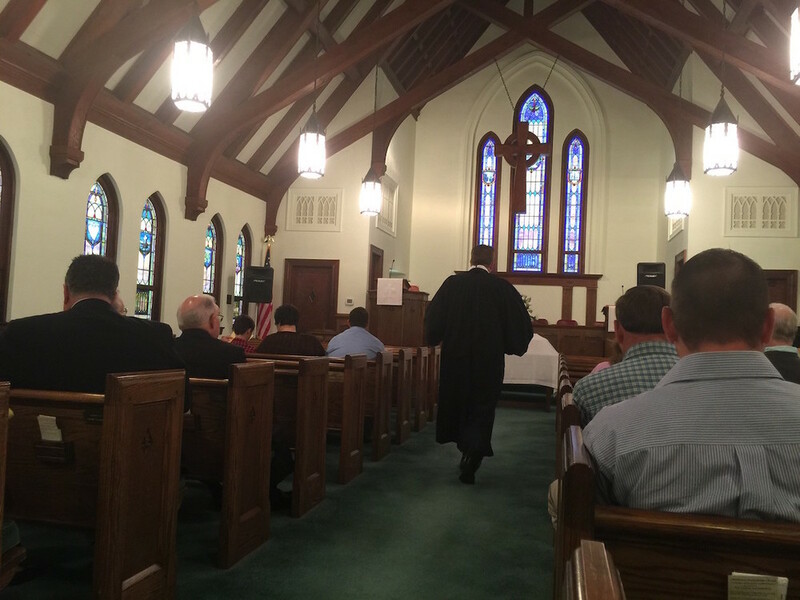 C. F. McDowell, III preached the 2015 Fall Gathering sermon. The 2015 Fall Gathering also included an additional worship opportunity with a concert immediately following the lunch. Christian musicians, David Niblock of Winston-Salem and Gene Vance of Belews Creek, presented the concert along with special music also provided by Wade Marshburn of Chadbourn. Mr. Niblock and Mr. Vance also provided special music during the morning service. It was another special and blessing-filled day in the life of Chadbourn Presbyterian Church!